The ever-popular River City Big Band will jazz up the airwaves in the Sarjeant Gallery with another swinging performance on Sunday at 4.30pm. The concert will help raise funds for the redevelopment of the gallery in Queens Park, which, incidentally, also promises to be a much larger venue for future concerts. The band has played twice to full houses at the temporary Gallery on Taupo Quay as part of the Musicians for the Sarjeant series, gifting their time and talent to making the, now green-lit, project become reality. The concert will feature a fantastic, bound to be nostalgic, mix of well-known favourites from the 1960s to 1980s, including music by the Beatles, Santana, Chicago, Billy Joel, Herb Alpert, Stevie Wonder, Sade, Michael Buble, Barry Manilow, Queen, Queen Latifa and Gloria Gaynor. Numbers to listen out for include Mike Smyth performing on alto saxophone the Beatles’ Yesterday. Queen Latifa’s Baby get lost – a bluesy piece sung by Denise McNeill; Roger Brasell will sing Billy Joel’s, I love you just the way you are, and John McGowan “Does anybody really know what time it is” and Crazy little thing called love. 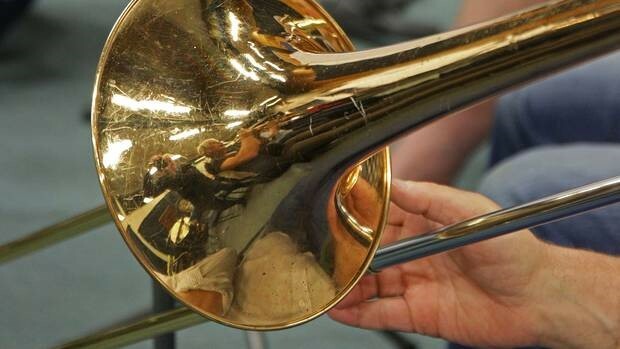 The 19-piece ‘Big Band’ is a collective of local musicians – some professionals, some semi-professionals, with the majority being amateurs who love big band music. It was established in 2009 at the instigation of Whanganui Jazz Club musicians, Angela Crawford and Michael Smyth. The Jazz Club has supported River City Big Band since the beginning and there is a strong relationship between the two. The band boasts full sections of trumpet, trombone, saxophone and rhythm, as well as three vocalists, Denise McNeill, Roger Brasell and John McGowan. Gavin Herdman is the musical director. Many members are retired and come from diverse career backgrounds such as banking, teaching, building, art, music, all united through their love of music. Larry said the addition of Fred Loveridge on guitar and bass guitarist/singer Roger Brasell has helped develop a rock solid rhythm section underpinning the band. As the Gallery space at Taupo Quay is intimate he said the band needs to be very accurate and on top form in such a small venue as the Taupo Quay gallery. He said the band loves the idea of being able to play in the newly developed building and perhaps even playing with other groups at a bigger fund raising concert for the Gallery before then. Musicians for the Sarjeant: Rivercity Big Band Sunday 13 May at 4.30pm Tickets $12.00, Gallery Friends and Stars $10; purchase from Sarjeant on the Quay or by phoning 06 349 0506.